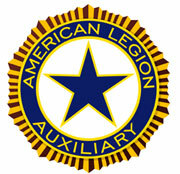 The Ladies Auxiliary of Annapolis Post 7 was formed on Jan 2, 1940. As a Unit we are hitting the ground running with so much planned for the New Year. First and foremost I would like to thank everyone who has been attending meetings and getting more involved. Meetings are where we can share ideas on how the Veterans need our help and plan for upcoming activities in our Unit. I will work hard to make sure more information on upcoming events and projects get posted on the website and the Auxiliary bulletin board so all members know what’s going on. Please do not forget if you stop in the Post for lunch or a beverage to check out the basket on our shuffleboard table. It is part of Operation Welcome Home. Make a Thank you card for our troops coming off planes at BWI. It is a great activity that only takes a minute to do but will make a difference in their day. Congratulations Unit 7 for being goal plus on membership 2016-2017. We have a new ribbon on our Flag and a new bar for our membership plaque. We have a lot of upcoming activities as a Unit we would like to do this year, to name a few we would like to volunteer at Charlotte Hall and possibly Washington DC VA Medical center where our help is needed; that's only to name a few. If you have any ideas or suggestions on activities please let us know or attend a meeting, we’d love to see you. Lastly new 2018 membership cards are in and out dues are $10 for Juniors and $25 for Auxiliary members. Please see me or drop your dues in the white Auxiliary mailbox. Thank you and we look forward to a wonderful year. The 2017-2018 Administrative year Post 7 Auxiliary Officers were installed at the August 2017 meeting.